One of Algeria’s paradoxes is that it is both a relatively new nation and an ancient land, with a history stretching back to pre-biblical times. When we were living there, I must confess that we were so caught up in the difficulties of day-to-day living, we were blind to the wealth of history just under our feet and around every corner. We had Roman ruins just down the street – a few hundred yards from our front door. I don’t think we ever visited them during all the time we were there. T’s eyes were fixed firmly on the future. He is an engineer and wanted, above all, Algeria to be one of the industrial leaders of the third world, for it to be self-sufficient and to ensure, once and all, that, as an emerging country, it would be second to none. I, on the other hand, was overwhelmed with trying to find my bearings in a foreign country. 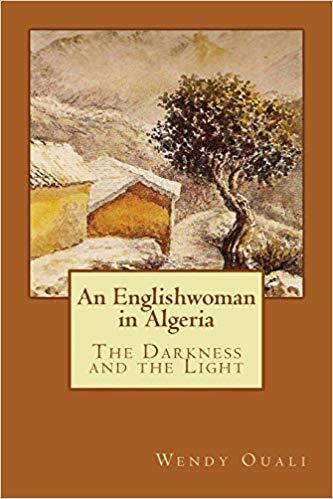 It didn’t help, either, that there was barely any information available about Algeria’s history, apart from endless re-playings of footage of the independence war and television programmes droning on about Islamic dynasties. Oran, the second largest city in Algeria, is also one of the youngest, being a mere 1,200 years old. It was founded by traders from Moorish Spain or al-Andalus in the ninth century and it is no coincidence that one of the most beautiful beaches in the vicinity is called Les Andalouses, being supposedly the place where the son of the Vizir of Cordoba came ashore after being shipwrecked when fleeing parental disapproval. Phoenician traders had preferred the Madagh creek, to the west of Oran, to establish their trading post and the Romans had chosen to expand the site of Portus Magnus, dominating the beautiful Bay of Arzew. Portus Magnus was later to become Bethioua and so, strangely enough, our own small village had a longer past and was more important at one time than the brash newcomer forty kilometres down the coast. Oran’s name is a contraction of the Berber words meaning River of the Lions — Ouad-aharan, and indeed, the city seems to have an almost mystical connection to lions. One legend recounts that a lion was seen on the tomb of the city’s patron saint, Sidi Houari. Two bronze lions guard the entrance to the magnificent city hall on the Place d’Armes, the main square. Lion-hunting in the vicinity was reported by the Spanish in the sixteenth century as well as by the French up until 1840. The last surviving lions were hunted to extinction around 1939 on the mountain rising from the plain to the east of Oran. This mountain was called la Montagne des Lions (Lion Mountain) by the French and is also known as Djebel Ghar or Rocky Mountain. For centuries, Oran was passed back and forth between Spain, the Ottoman Empire, and Portugal, even after the Arab invasion. The Spanish had built an imposing 16th-century fort, Santa Cruz, to house their governors, on top of the Murdjadjo mountain looming over the western end of the city. Looming over the inhabitants in the same way was the aggressive Catholicism of the Spanish, one of whose invading forces was even preceded by a monk mounted on a horse and waving a large cross. Ironically, at least to me, at the end of the eighteenth century, Charles III of Spain had suggested to Britain that it might be interested in exchanging Gibraltar for Oran. Just below the fort, there is a beautiful white-washed basilica called Notre Dame de Santa Cruz, raised by the French in the nineteenth century to give thanks for the ending of a cholera outbreak in the city. Oran had the largest pied noir population in Algeria, and there were also large Jewish and Spanish communities, each group contributing to the city’s unique character. Jewish immigration had come in waves from as far back as the first century, even before the Roman occupation. In the sixth and seventh centuries, Jews had fled to North Africa from Visigoth persecution in Spain and then again following a series of massacres during the Spanish reconquista in 1391. Oran is a port city like Algiers, but there the similarities end. Algiers feels very French, with its ornate fin de siècle apartment buildings, its wide boulevards and its arcaded seafront. Wahran el Bahia, (Oran, the Radiant City), seems more Spanish, with some of its older inhabitants still preferring to speak Spanish rather than French. The local cuisine, typically Mediterranean, also owes more to southern Spain than to France. The city boasts a main railway station looking like a mosque, a cathedral (now a public library) that resembles a Byzantine church, and a theatre that looks like the backdrop to an Italian operetta. One of the jewels in its crown is the beautiful seafront, the Boulevard Front de Mer, constructed in the forties and fifties under French rule, and inspired by Nice’s Promenade des Anglais. It consists of an amazing two-tier promenade, its graceful arc echoed in the sinuous curves of the Art Deco and Haussmann-style apartment buildings facing the sea. Lined with palm trees, cafés, restaurants, and ice cream parlours, it offers a splendid view of the sea, the port, Santa Cruz to the left and the cliffs, les Falaises, to the right. It was given a suitably revolutionary name, the Boulevard de l’ALN, by the government after independence, but its original French name is still used by the locals. The boulevard Front de Mer is the place where most of the inhabitants of Oran go for a stroll at the weekend, during the long, stifling summer evenings and especially during Ramadan, when the city is open for business all night long. Gazing out over its railings, they can often see a shimmering heat haze on the horizon, and, where, to the west, the rocky outcrops of the Murdjajo and Cap Falcon, battered by the waves, look like the torn, jagged edge of a sheet of paper. Eyes closed, they can feel the cool breeze stealing the heat from the day, bringing them the taste and smell of the sea. Below, they can see the Ravin Blanc coal-fired power plant where T had once worked for two months as part of the conditions for a student loan he had taken out when at Algiers University in 1963. The dark smoke belching out of its chimney had been the scourge of housewives living in the flats along the seafront, their washing hanging out on the balconies always covered in black smuts. Oran also enjoys a certain reputation, deserved or not, for hedonism. It is, famously, the birthplace of rai, that raunchy, edgy, culturally and sexually risqué type of music that started off as a protest against working conditions and the colonial yoke in the 1930s and ended up in the 1980s as one against Islamic constrictions and state-approved musical expression. If Algiers is a grand old lady, Constantine a venerable great-aunt, Oran is a good-time girl. As for me, unaware of Oran’s past, I would look around me at all the trappings of a beautiful, functional city — its clinics, schools, city hall, theatre — and wonder why, in spite of all this, nothing ever WORKED as it should. This entry was posted in Algerian Independence War, Bethioua, Oran, Pieds Noirs, Ramadan and tagged Jews in Algeria, Montagne des Lions, Oran, Ottomans in Algeria, Santa Cruz, Spanish in Algeria. Bookmark the permalink.